It’s time for my first “real” post! Yes, yes, thank you! *Bows* Today I present to you…..
My top 4 favorite books! I know. I know. Why isn’t there 5? Well questioning reader, the answer is that I do not have a 5th favorite as of right now. ‍I figured I should get this post posted as soon as possible so that you guys can learn about my reading style, since I’m calling myself a book blogger. This book is on my list because it’s so creative. It has a lot of puns about time and imagination. Get this: The magical world it’s set in is called the Realm of Possibility. *Fangirls* The main character is very believable even though it’s a fantasy. Don’t be surprised if you find yourself falling in love one page in. The story is about a girl named Penelope who wants to be a writer. Unfortunately, her mother schedules her every second. 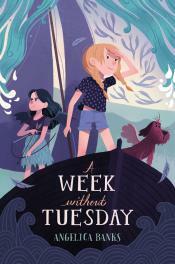 When Penelope falls into a hole in her schedule, she is transported to the Realm of Possibility. Soon after she meets Dill and together they try and stop Chronos and find the Great Moodler! That wasn’t confusing at all! 🙂 And one more reason I love it is the pretty cover! It perfectly captures the story and the color scheme is great (#innerartisttalking). This book is on my list because it’s one of the most realistic realistic fiction books I’ve ever read! Each character seems to be so… dimensional, when normally they fall flat. I found each situation to be very realistic, like it could happen to anybody. This is normally not the case but I’m glad it is for this book! Did I forget to mention that the main character Genie is a blogger? I must have! (You go girl!) 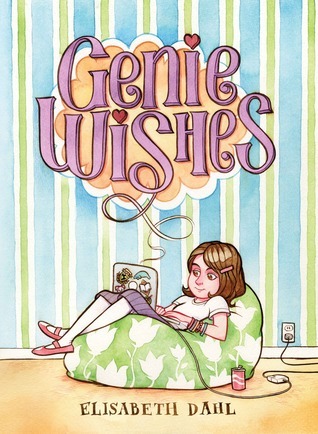 Genie begins 5th grade with one friend, Sarah, but Sarah quickly decides that Blair, the new girl is cooler. As the year goes on, Genie grows and changes in ways she never imagined, all of which is recorded on her classes’ blog, which she runs. All in all, the book completely captures that fateful 5th grade year where anything can happen. Where to start on this one? Well, the main character’s name is Tuesday Mcgillycuddy. What a perfectly lovely name! Yes, WordPress, Mcgillycuddy is a word. To start off, the plot is so original. A girl whose mother has gone off to the land where writers (Ready for this) live their stories! I would love to go there, wouldn’t you? The girl doesn’t know this place exists and decides to rescue her mother and is taken there. While she’s in the Land of Story, she meets a whole slew of interesting writers and a very picky Librarian. Her dog Baxterr (It does have 2 of the letter ‘r’ in it) is (somewhat spoiler) a winged dog! While she’s there, she goes into her mother’s world, the world of Vivienne Small. Together they have amazing adventures as they attempt to rescue Tuesday’s mother. This is another book that I love the cover of, that once again, explains the story perfectly. 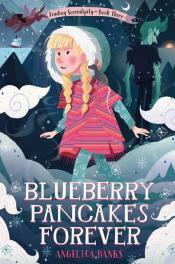 After you read this one, make sure to check out the other two, A Week Without Tuesday and Blueberry Pancakes Forever. 4. 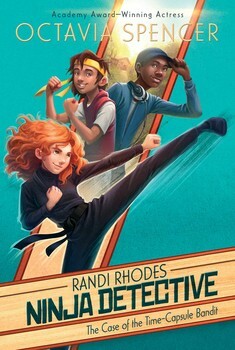 Randi Rhodes Ninja Detective The Case of the Time-Capsule Bandit This book is one that will certainly keep you on the edge of your seat! It’s realistic fiction mixed with mystery and adventure and girl-power! 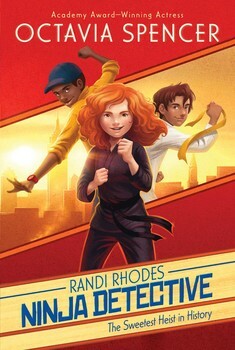 The main character Randi, is a twelve year old detective in Manhattan. But, her life takes what seems to be a turn for the worst when she is forced to move to a tiny little town in the middle of nowhere. No mysteries. No nothing. That is until the town’s time-capsule is stolen. Now she and her new friend D.C. must try and find the time-capsule before it’s too late. I hope that sounds as excited as it really is. I love this book for it’s strong characters and messages. I would read it over and over and the spine proves that I have! Though not totally realistic, it’s in such a way that it’s not obvious and that, in fact, we love that it’s that way! I happen to be a mystery fan and this one delivers! Oh, and it’s written by actress Octavia Spencer, who is in the movie Hidden Figures. One more thing: after you read this one, read the sequel, which is just as awesome . Now you know my favorite books, which I hope gives you an idea about the sort of books I enjoy reading. I hope you enjoyed reading this post. Make sure to comment and tell me if you’ve read any of these or if you’re going too. Also tell me what your favorite books are. I would love to hear!